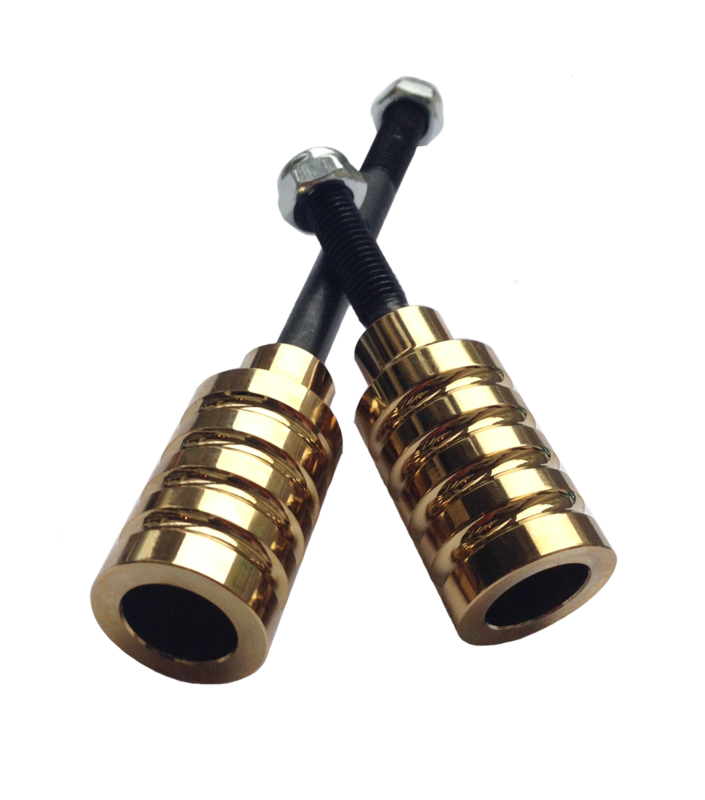 Very bling looking Gold Chrome Stunt Pegs in a ribbed canister design. Sold as a pair with one on a short axle bolt for the front and one for the rear on a longer bolt. Bolts are threaded with a locking nut to accommodate varying lengths and should fit most scooters.